Do you use your tent more than the average person? Or perhaps you avoid using your tent because you dread the grueling process of taking it down again? This product is the solution you have been waiting for! 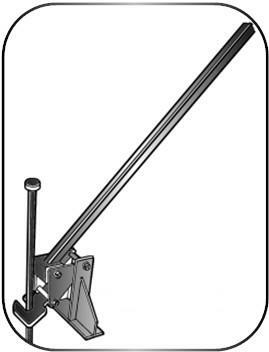 This heavy duty manual stake puller makes the hardest part of taking your tent down a breeze. Never again throw your back out or break a sweat. Simply bring out your stake puller, and the rest is easy. This product removes rebar and other stakes up to 42 inches long.